30 is just the beginning. This year a lot of my close friends are turning 30, all of us are 80s babies. 30 is going to be my number for the year. I have some goals that revolves around the number 30. One of them is running 30K before I turn 30. When our wedding date was decided, I didn’t have a date in mind but more of a particular season. Now that 30 is going to be a significant number this year, I am happy that my wedding day falls on the 30th day in May. 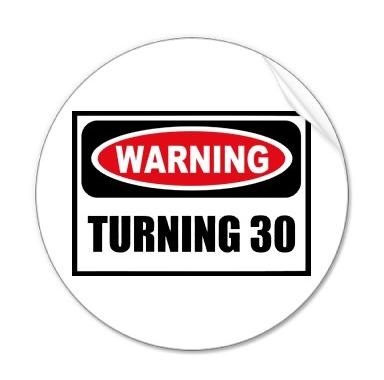 This weekend marks the start of “Dirty 30” parties, as my friend Lizelle celebrates her 30th birthday party tonight. The fiance and I are had a relaxing evening last night. We had dinner and then relaxed on the couch watching a movie. While dinner was being prepared, we listened to music while we caught up and talked about our week that was and getting excited for our busy weekend ahead. 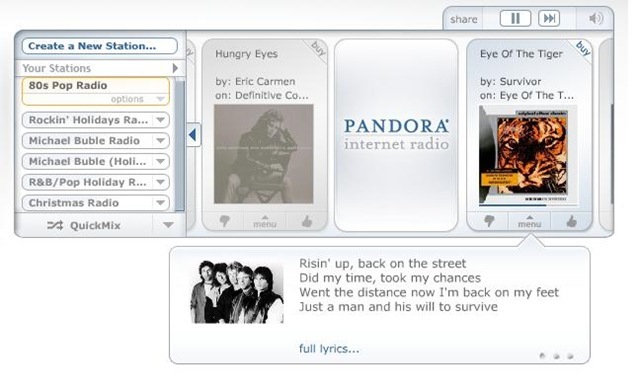 80s Pop radio was the theme for the night. I don’t normally make Italian food, it’s not my favorite food. I find pasta, cheese and creams too heavy and I suffer from food coma afterwards. However, I want to have variety in the dishes that I cook so I started looking at Italian recipes that are lighter and with healthier substitution. I found it in this dish. I like Italian food after all, well, this dish anyways. 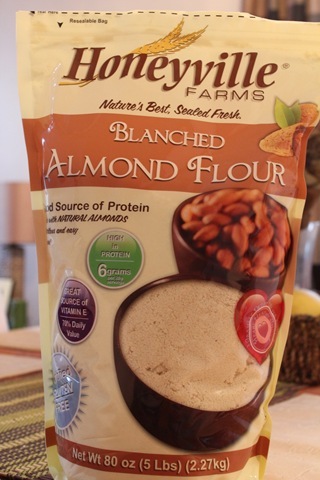 The use of almond flour in this recipe is a great substitution for regular flour. 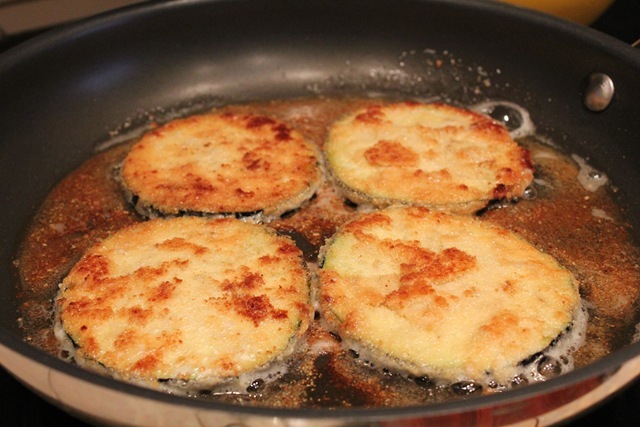 It adds a grittier texture to the lightly fried eggplant. With the almond flour coating, it taste more crispy even after the dish has been baked. This recipe is adapted from The Almond Flour cookbook, I substituted with the ingredients I had on hand. It is easier than the traditional version because the time consuming steps of peeling and salting the eggplant has been eliminated. This dish is delicious and got two thumbs up from the fiance, who is not too fond of eggplant dishes. He said this might be the best thing I’ve made. 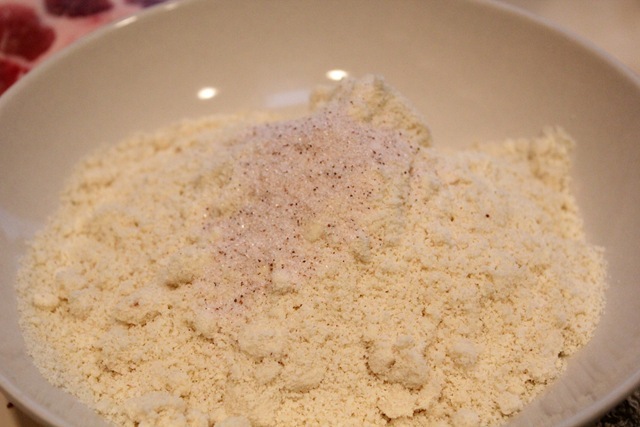 -In a medium bowl, combine the almond flour and salt. I used blanched almond flour. -In a separate bowl, whisk the together the eggs and water. 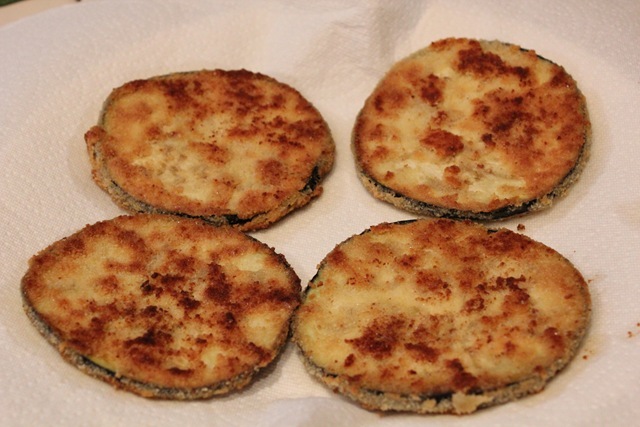 Dip the eggplant slices in the egg mixture, then coat with the almond flour mixture. -Heat the oil in large skillet over medium high heat. Saute the eggplant for 3 to 5 minutes per side, until golden brown. 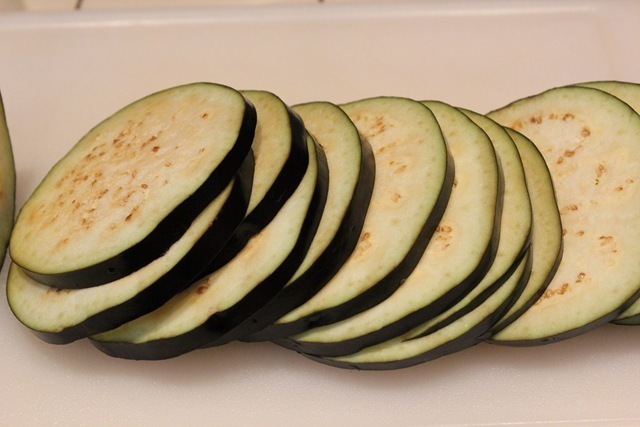 Transfer the eggplant to a paper towel-lined plate. 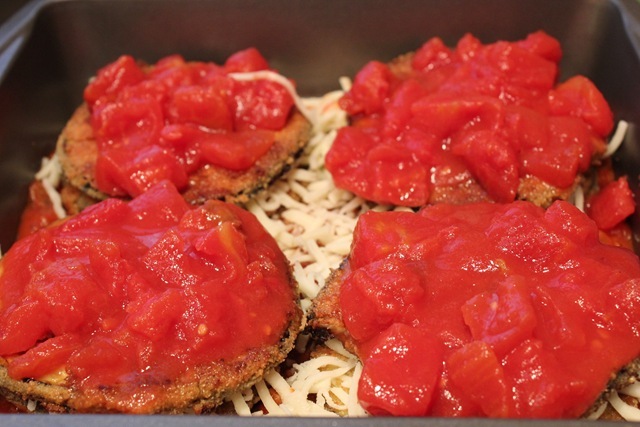 – Pour 1 cup of garlic tomato sauce into a 13 x 9 inch baking dish. 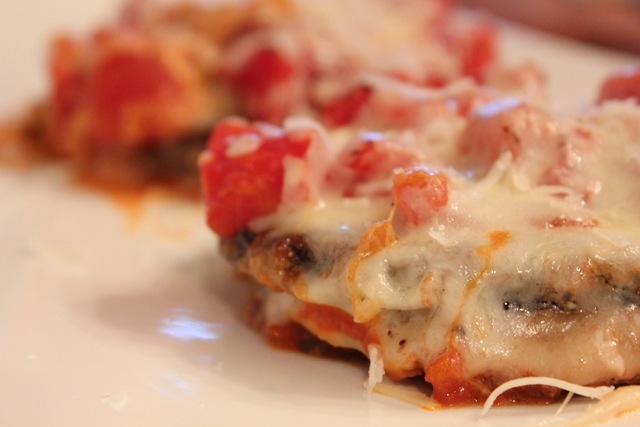 Layer the eggplant over the sauce, cover the eggplant with 1 cup tomato chunks and 1 cup of the mozzarella. 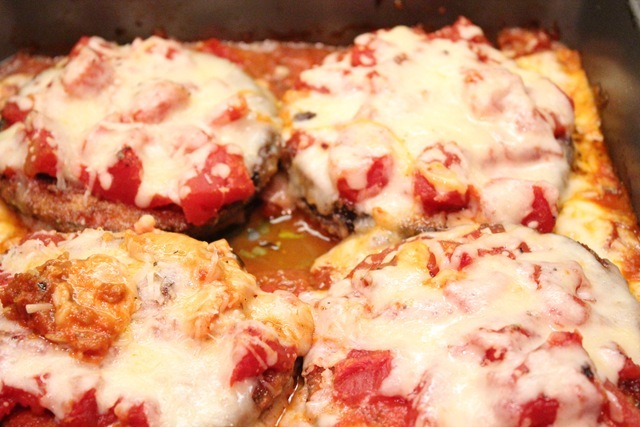 Place the remaining eggplant over the top, then cover with the remaining sauce and tomato chunks and mozzarella. I made one serving size on the side. – Bake for 10 to 15 minutes, until the cheese is melted and the edges are bubbling. 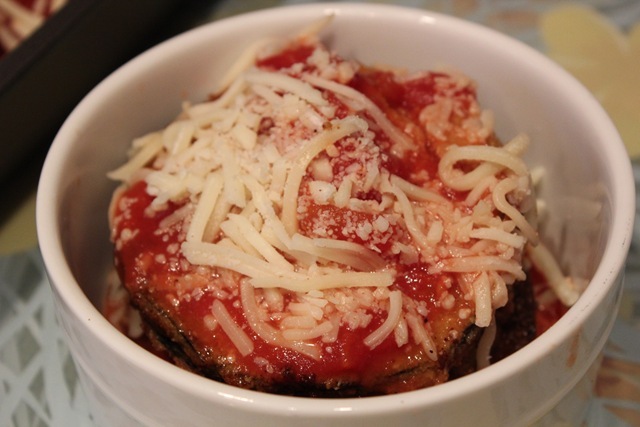 Remove from the oven and top with grated Parmesan cheese before servings. I’m not the biggest healthy food eater, but this was fantastic! Hats off to you! i’m going to be 35 next. i am loving my 30’s!!! 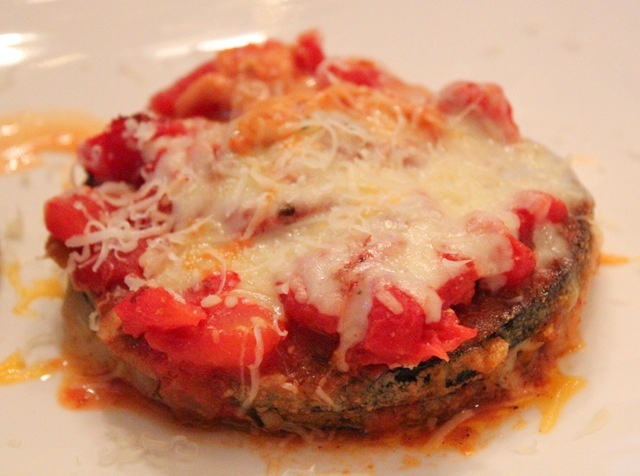 Eggplant parmesan is one of my favorite dishes ever! And those pictures look like you nailed it!!! HOpe you have a wonderful party! Yumm those look delicious even though I don’t eat cheese anymore. 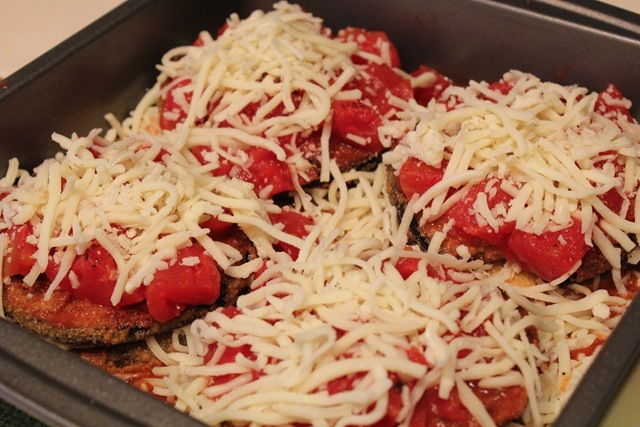 I love eggplant and I’m sure I can substitute it fora vegan cheese from Daiya. YUM! i HAVE EGGPLANT IN MY FRIDGE-yay! Oooo love the 30 theme 😉 I’m on my last 8 days of 30. I feel old =( Boo.